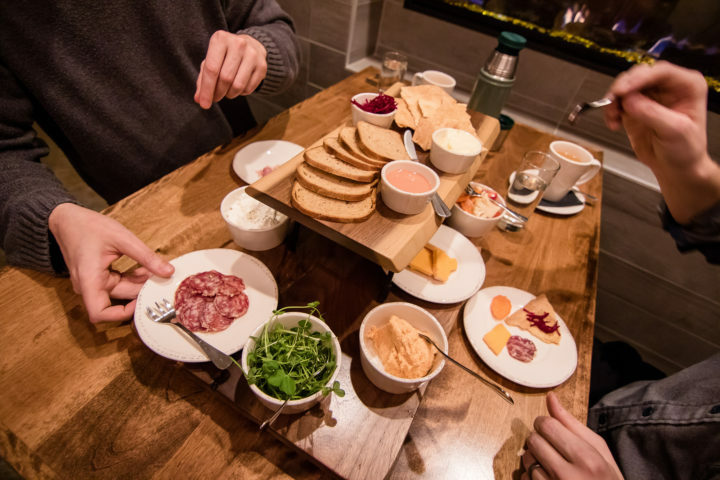 A major feature of Scandinavian eating is the “cold table” (see: Danish koldt bord, Finnish voileipapoyta, Norwegian koldtbord, Swedish smorgasbord) — literally a table bearing many different cold items from which guests can choose, create combinations, and share with their friends. It’s a reflection of the variety of Scandinavian cuisine. 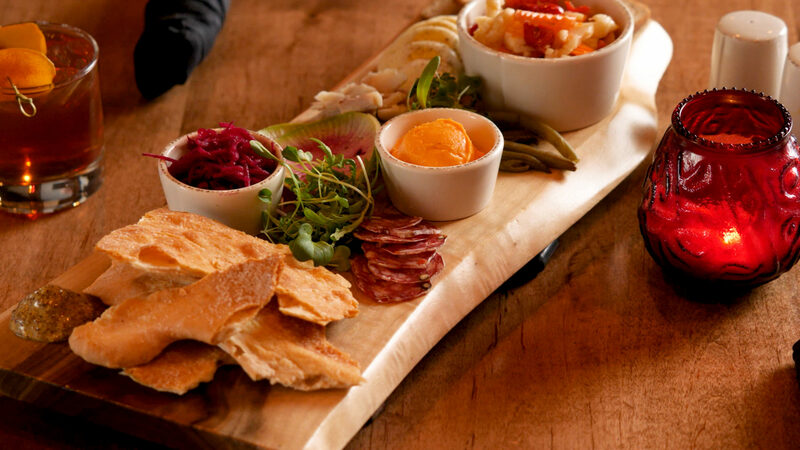 The dishes reflect the rich harvests yielded by the rivers and lakes, the game and fruits of the forests, as well as classic products from local farms and market gardens. 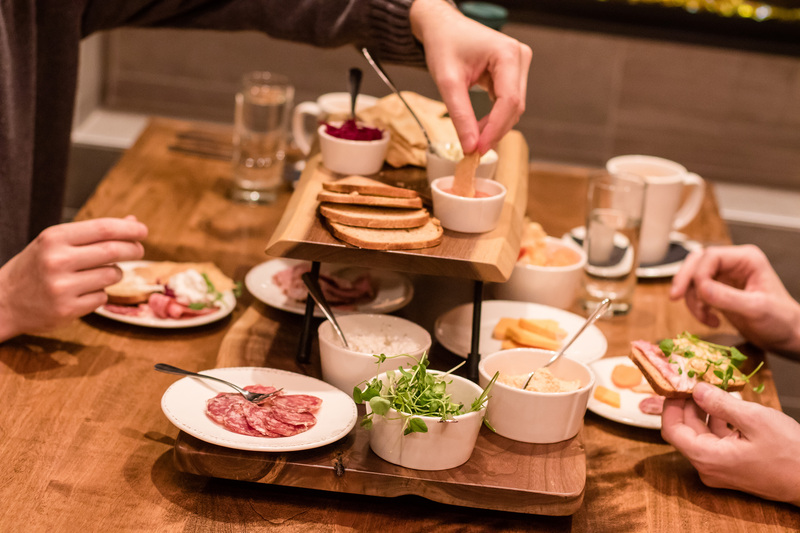 Dinner versions of the koldtbord can be a veritable feast for the eye and the palette including the highest quality cold meats, cheeses, vegetables, eggs, breads, and a host of custom condiments and sauces that make for the most creative culinary combinations. In the form taken here at The Lakely, the Koldtbord can make for an elegant appetizer, an entire shareable (or personal!) dinner of its own, or as a perfect late night snack. Embark on your own Scandinavian adventure — with a Midwest modern twist — from right here at The Lakely in downtown Eau Claire.